Our ALTRAD Plettac Grandstand system can be assembled quickly and efficiently. The substructure consists of our highly resilient modular scaffolding system, which grants you flexibility and high loading capacities, while the well-engineered and robust blue plastic tip-up seats brings stadium-quality seating to your temporary event. The hot-dip galvanised steel and plastic finish on the seating helps create this strong and weather resilient structure, making the grandstand an ideal solution for both indoor and outdoor use. Thanks to the premier Plettac scaffold sub-structure, construction on complex and uneven terrain is made simple and the system can easily be adjusted to suit the starting height required. Our grandstand structures comes with silver public-access handrail and stair access for a complete package. 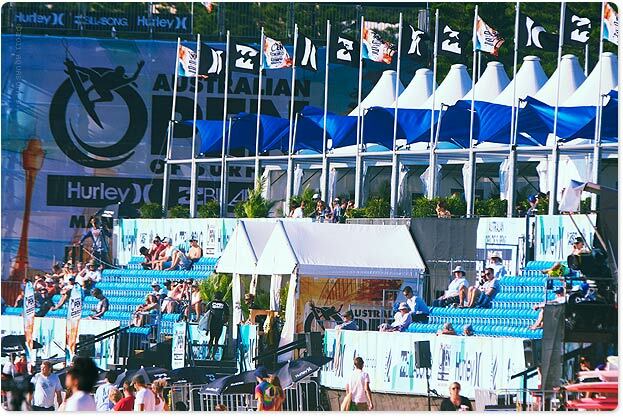 Whether you require a 300 seat grandstand, a 2500 seat grandstand, or anything in between, Tri-Point can work with you to design the perfect seating solution for your next event.